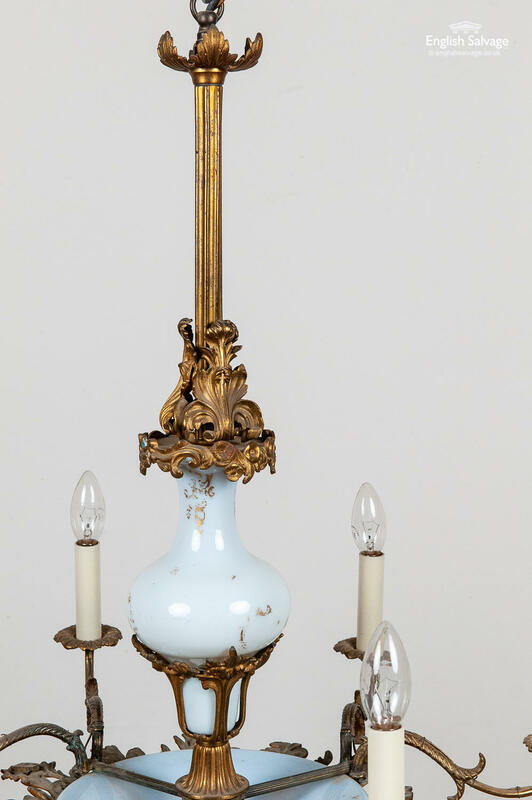 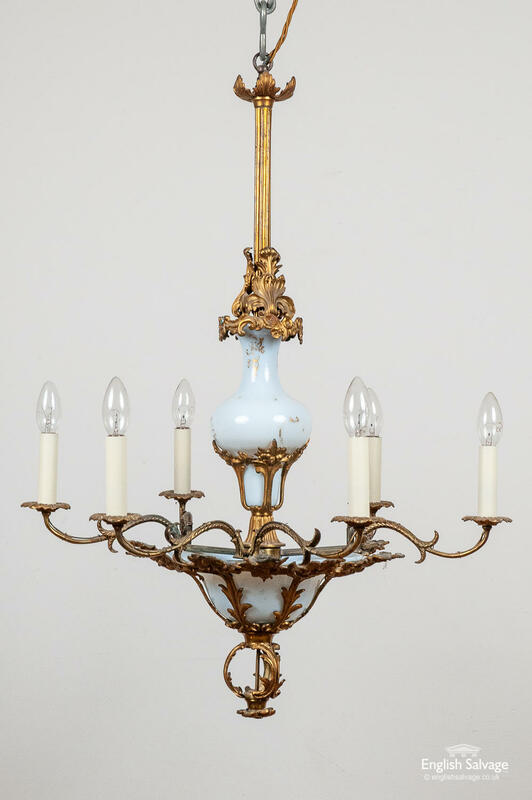 Reclaimed brass alloy rococo-style six arm chandelier with milk glass bowl and surround to the stem, with flower formed bobeches under the candle holders. 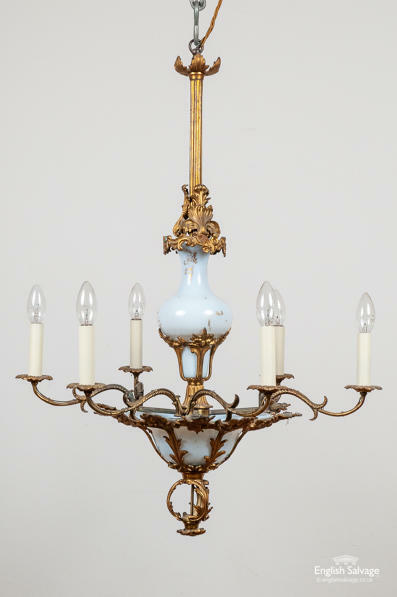 The chandelier is intricately made with floral and foliate detail throughout. 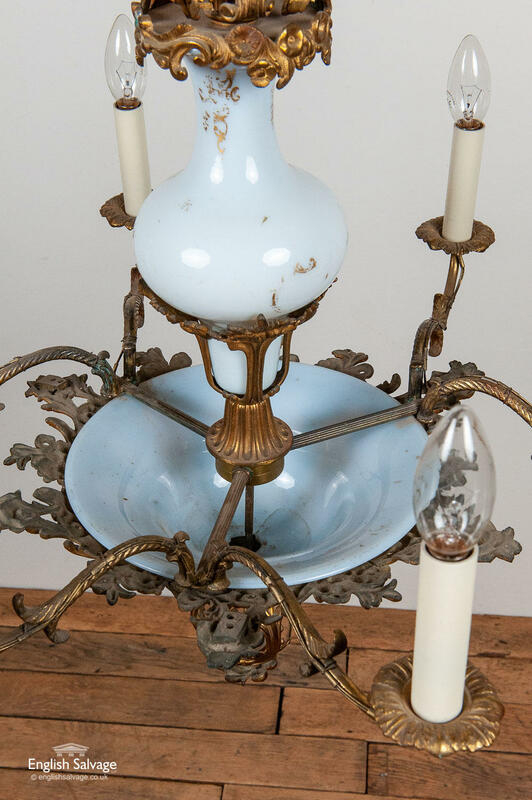 The bulb holders are small bayonet fittings, with cardboard candle sleeves. 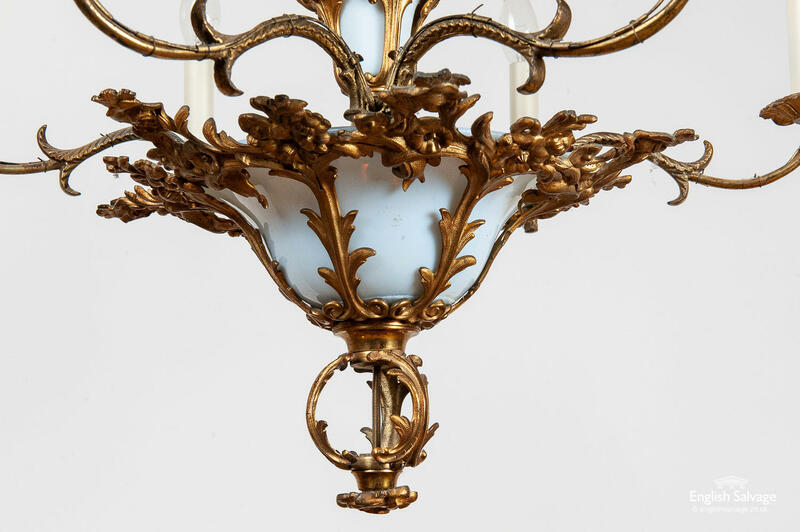 There is some damage to the lower glass bowl and some of the gilded pattern on the glass has worn off, but it is a beautiful item in sound condition.